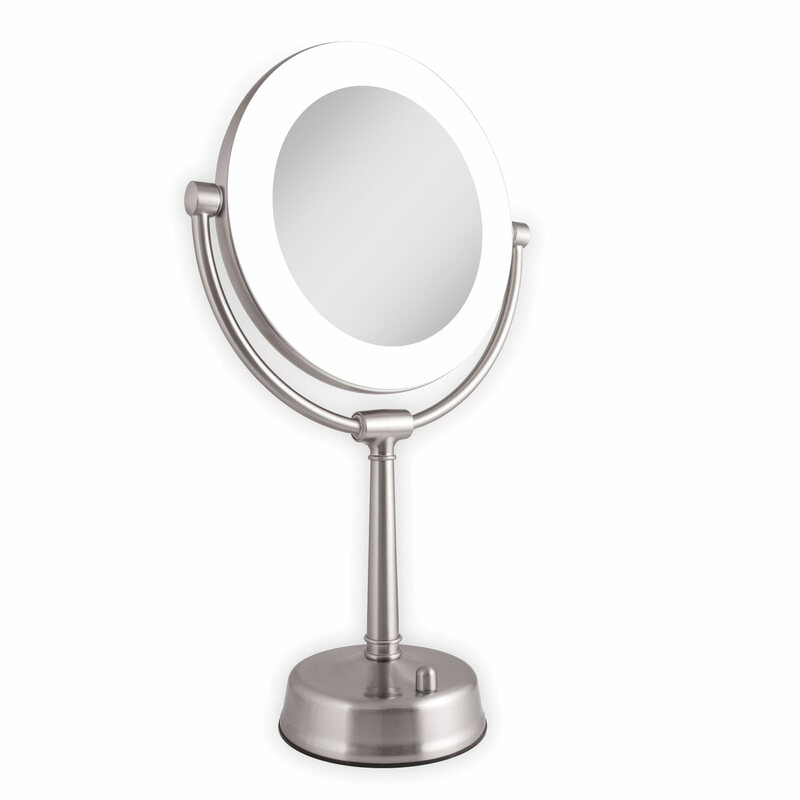 This mirror features on one side, a 10x magnification mirror allows you to see up-close and in detail, allowing for easy makeup and other beauty or facial application. 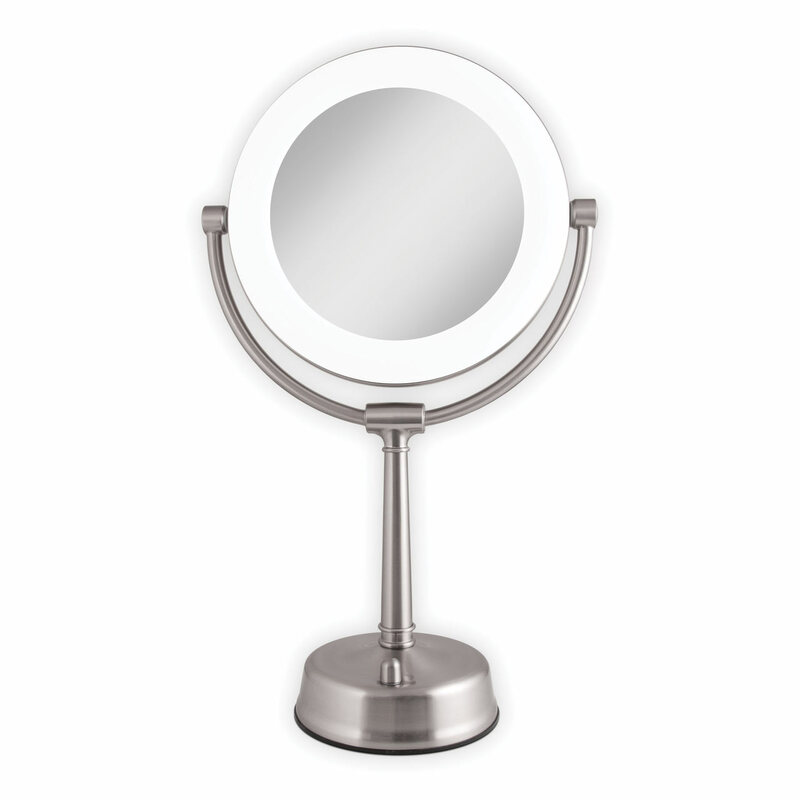 The other side features a regular mirror with a 1x magnification that is great for checking your hair and skin before you leave. 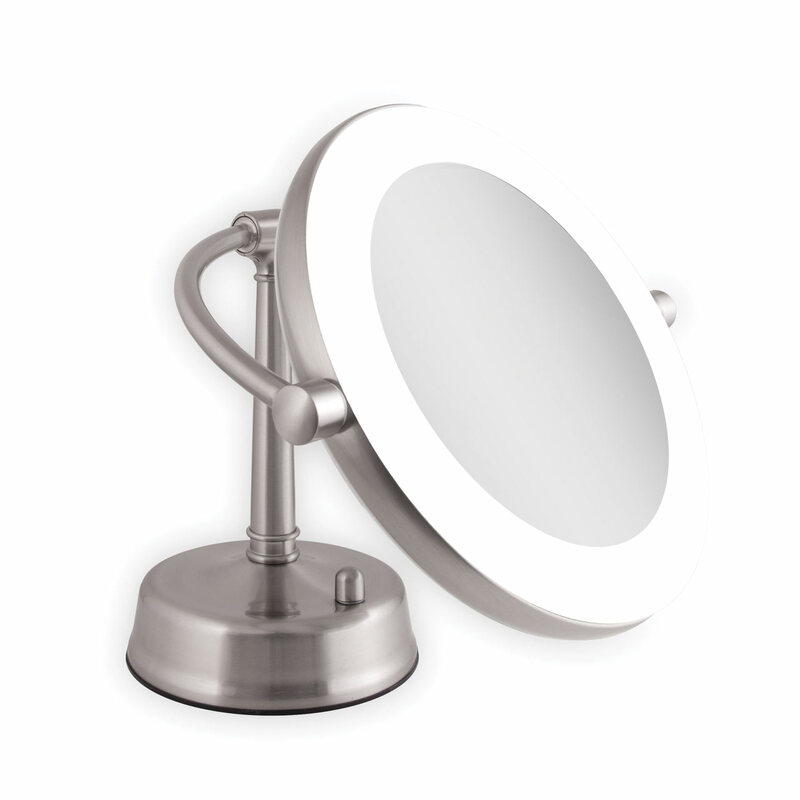 Additionally, both sides of the mirror light up with super-bright fluorescent lighting, allowing you to see the finest details in even the dimmest lighting. 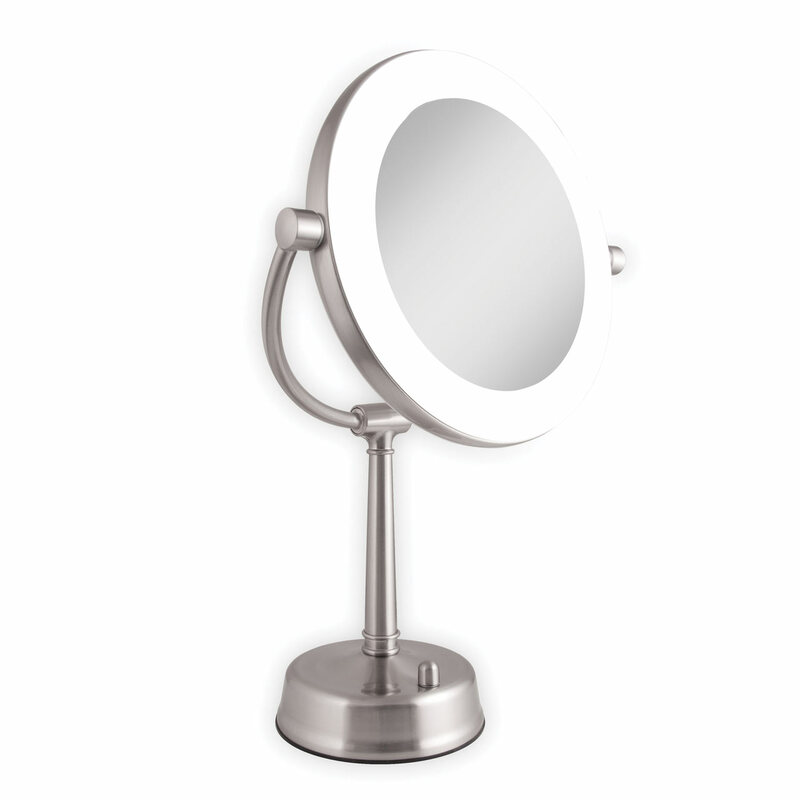 The Dimmable Sunlight Vanity Mirror is available in a beautiful Satin Nickel finish. 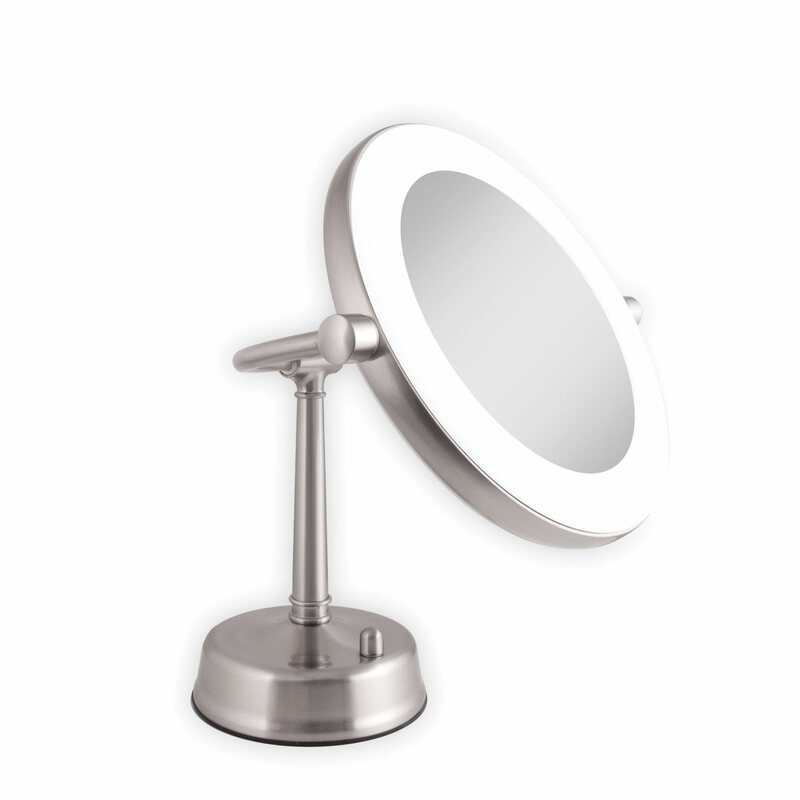 Stand Adjusts Up to 19 3/4" Tall or Folds Down to 10"